You really get in touch with yourself when you make a note, and you put so much into that note that you get in contact with yourself. When the sound that comes out is your sound, and not an abstract sound. 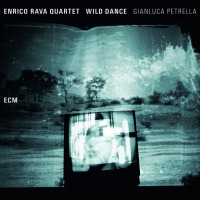 Listen to Enrico Rava play the trumpet. It's direct and assured. Controlled and cool, yet capable of flights of fancy. His sound on the horn is mature and fat and full. It's capable of bold and brazen statements, and can be fragile as an eggshell. With it, he has become one of the finer players around the globe, and an icon in his native Italy. Rava is also an admitted fanatic about the music. "I consider my first job is to be a jazz fan. Then I play. I'm a jazz fan that decided to play, he says. A good decision. 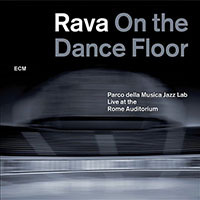 But as a young kid in Torino, in northern Italy (or Turin in the United States, site of the 2006 Winter Olympic Games), Rava appeared content to be a fan. That is, until a fortunate encounter with his trumpet heroes performing in his town. 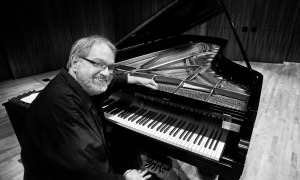 Rava had been listening his brother's record collection in the late 1940s and a lifelong love affair with the music began. Then, in 1957, not quite age 18, the young man attended a Norman Grantz-produced concert with Lester Young, a French rhythm section, and a young firebrand trumpeter named Miles Davis. Bud Powell was also in the entourage, but played solo, Rava recalls. 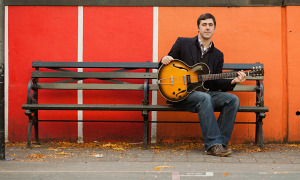 "I got a trumpet from someone a few days after I heard Miles ... I had many records of Miles. He was my favorite trumpet player. But I didn't even think about playing trumpet. 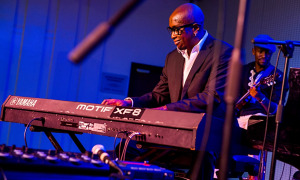 Then I saw Miles, he said recently while relaxing at his home in Genoa, Italy, a few days before concert dates with a quintet that would include U.S. tenor saxophonist Mark Turner. "It was a very good group and Miles was so great. He played so good. He was so amazing. Physically, to see him in 1957 when he looked so good and was strong. He has so much charisma. You would look at him all the time. Even when he wasn't playing everybody kept looking at Miles. He was really attracting the eyes of everybody. I was fascinated. "That night, I saidwow, I must try to play this instrument. That's what I like. I was almost 18, maybe 17 and a half. I got a hold of this trumpet and I learned it by myself, just listening to Miles records, Chet Baker records, says the trumpeter. The concert spun Rava deep into the music. And the music "saved my life, he says. 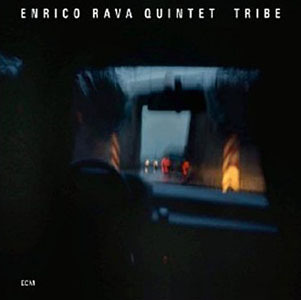 Fans who know Rava and his sound from his days with Gato Barbieri and Steve Lacy, through associations with the great "free players of the 1960s in the United States, then off in other stylistic directions over the years, have more of an opportunity to hear him now that he is back with ECM records. 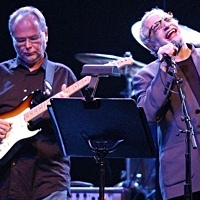 His Easy Living last year broke a 17-year absence with the label. 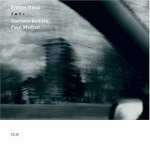 Released in October, Tati, his latest, continues that relationship and Rava goes back into the studio for ECM on Dec. 19 with his quintet for more recording. 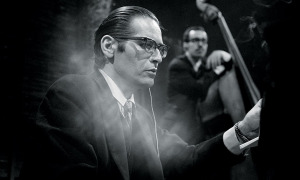 Easy Living was a welcome return and his quintet of all Italian musicians sparkles. The new disc is a quieter setting, ethereal, introspective, playful and exploring in a softer sense. He is supported throughout by the excellent American drummer Paul Motian and Stefan Bollani on piano, a longtime associate of Rava's. The trio is molto simpatico in a series of a dozen ballads of different textures. 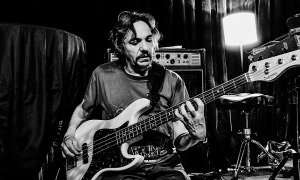 "When Manfred Eicher (ECM founder and producer) proposed to me to make a record in a trio, without bass, immediately I thought of something ballad oriented, not focused on the rhythmic part, without bass. Although with Paul Motian, you can play without bass, with bass, with 10 basses. He's so good and so musical he gives you all the support you need, in any kind of tempo, says Rava. "When I started writing some tunes for this record, thinking about Paul and Stefano, the music that came to my mind, most of them, were ballads. Very lyrical tunes. He says the players have a great feel for one another, "because at this point we know each other, though we play together much less. Two years ago, everything I did was involving Stefano, in my quintet, in my group with Gato Barbieri. Any project in which I was involved, I always brought Stefano. But now he's become very popular, so he's working a lot with his own music.